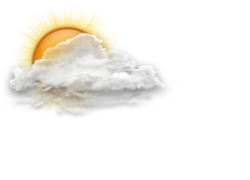 Today appears to be a duplicate of yesterday with some fish moving but no big push.Lots of rain early but now the sun is out, today's high should hit the mid 60's with tonights low around 47 degrees. The water flow remains at 350 CFS until midnight Tuesday 9/16 and the river temperature is 59 degrees.We have rain in the forecast this week with Thursday's high not making it to 60 degrees.When those kings in the estuary make their run we will let you know.The river today is a 2 on our scale. Not a lot of boats on Lake Ontario but the fishing is good. The Lake is a 4 on our scale.